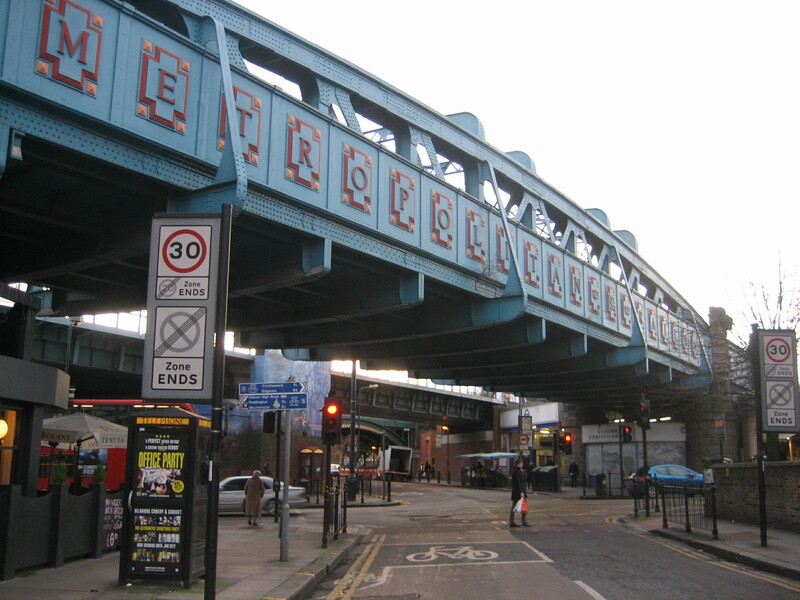 What was once an enormous slice of self-aggrandisement on the part of the Metropolitan Railway is nowadays an enormous boon to an area that deals mostly in grime and grey. It’s as if someone has smeared a palate of primary colours right across this monochrome municipal landscape. 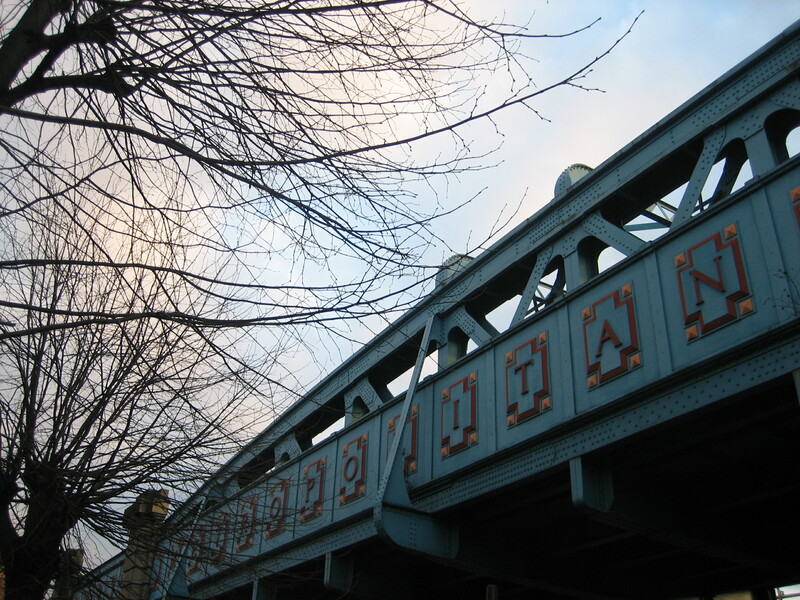 The viaduct was built when the Metropolitan line was going through one of its many muscle-flexing phases; in this instance, a quarupling of the number of tracks all the way from Finchley Road up to Wembley Park. 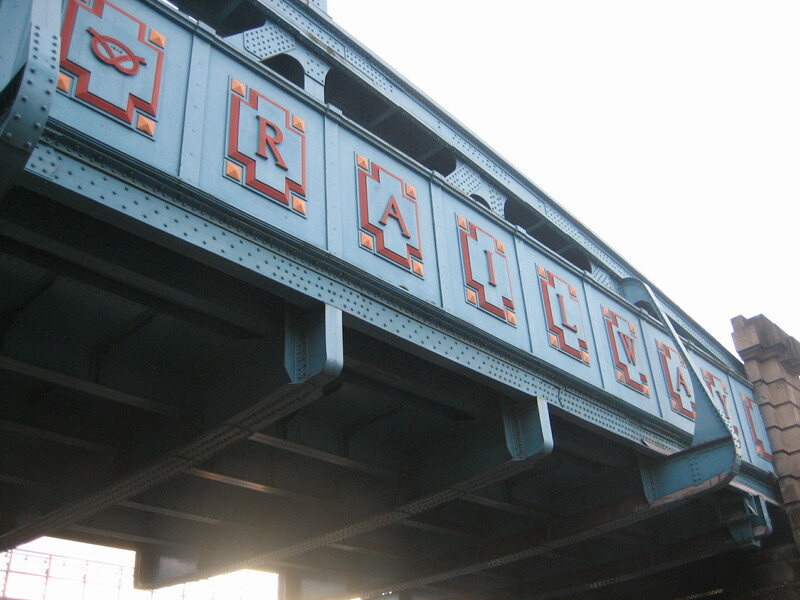 I love the shamelessness of the design and the fact the company had ultimately no scruples in turning the edifice into a massive piece of self-promotion – albeit one of sparklingly bold and bright ambition. By any measure – conception, intent, size, appearance – it’s a triumph. 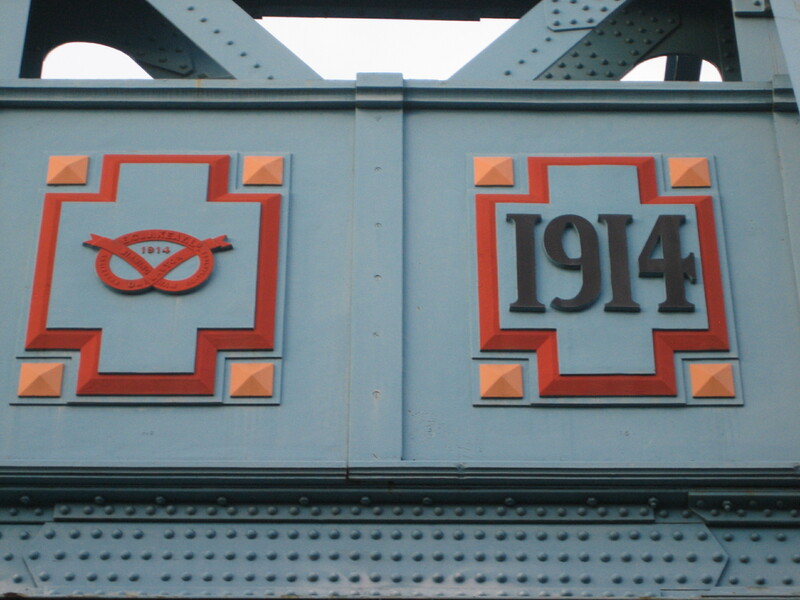 The Staffordshire knots were the trade marks of Keays Brothers of Darlaston, Staffordshire, who supplied the steelwork for these bridges. The sharp eyed can also see them on the steelwork from passing trains. 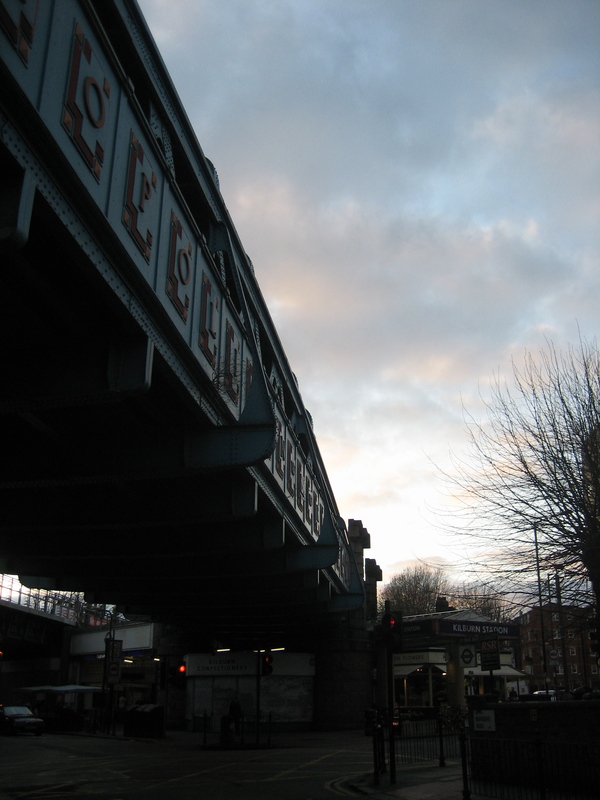 Are there any more of Keays’ bridges around London?